West Indies have named their 13-man squad for the T20 against India. West Indies have made just one change in the T20 squad, the rest of the squad will be the same as it was against Afghanistan earlier in June. The big man, Chris Gayle comes in for Lendl Simmons. Simmons did not have a very good series against Afghanistan, he scored only 38 runs in 3 matches and he missed his chance against India. Chris Gayle is the highest run-scorer for the West Indies in the T20 format and the first batsmen to score 10,000 runs in this format. Gayle played his last T20 match back in 2016 in the World T20 against England. He will be playing after almost a year at his home ground. We welcome Chris back to the T20 squad. He is the most prolific batsman in this format and will add value to our team at the top of the order. He will get the chance to play on his home ground and against a top-quality Indian team. Jason Holder, the test and the ODI skipper has been rested once again. West Indies have an impressive and an experienced squad for the One-off T20 against India at the Sabina Park, Jamaica. 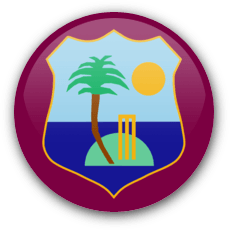 Carlos Brathwaite (C), Chris Gayle, Samuel Badree, Evin Lewis, Sunil Narine, Kieron Pollard, Ronsford Beaton, Rovman Powell, Jason Mohammed, Marlon Samuels, Jerome Taylor, Chadwick Walton (wk), Kesrick Williams.